DEAM serves more than 250 local families a month, providing critical assistance to ease hunger, prevent utility service disconnection, provide clothes, and purchase life-sustaining prescriptions for qualified residents. DEAM seeks volunteers to help in the office, food pantry, and clothing closets. Find out about the many ways you can help prevent homelessness and hunger in the Decatur area. DEAM counts on generous donors to help fund the work of the ministry. Find out how your money is used and pooled together with other gifts to make a difference in the Decatur area. If you or someone you know needs help, please visit our Services page to find information on who qualifies for assistance, what assistance can be offered, and other important information you need to know. 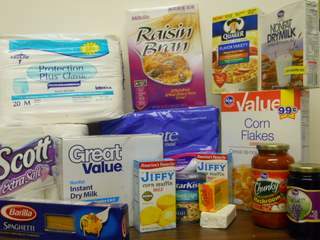 DEAM provides emergency food and basic toiletries to qualifying residents. DEAM provides financial assistance to qualifying residents for prescriptions. DEAM provides new and gently used clothing for qualifying children and adults, including summer and winter wear. DEAM helps prevent cut-off of water, gas, and electricity services by providing financial assistance to qualifying residents. DEAM relies on contributions of non-perishable food and basic health supplies. DEAM buys many canned goods from Atlanta Food Bank at pennies on the dollar, but the items pictured below are always in short supply. Sign up to receive a monthly email alert for urgent needs to add to your shopping list. Note: By submitting your email address, you agree that other information about DEAM may be included in the email you receive. At DEAM, we strive to help qualified clients move from a place of need to one of independence. Eighty-five percent of every dollar donated to DEAM goes to serving clients. 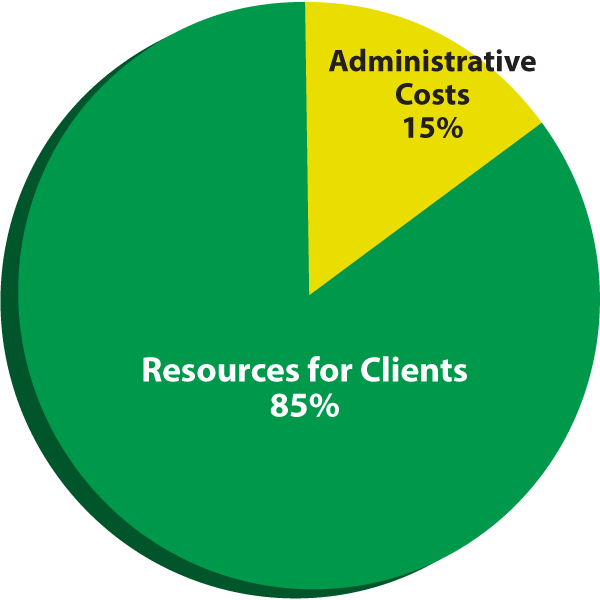 The remaining 15% covers operating expenses. You can be assured that any monies donated to our ministry are used efficiently and effectively to benefit those in need. Volunteers are the Backbone of All We Do. We want to hear from you about your desire to serve others.